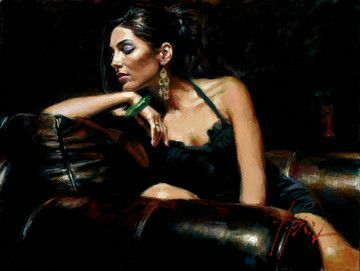 Argentinian artist Fabian Perez is known for his paintings of shady-looking, mysterious gentlemen & evocative images of women. According to the artist his inspiration is due to his father, who owned brothels and was constantly being hassled by the Argentinian authorities. 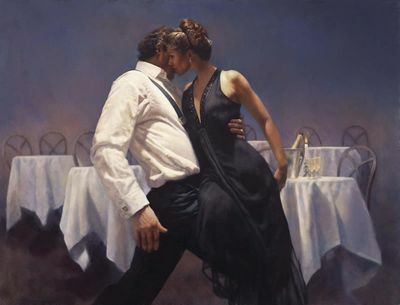 Despite this somewhat rough background, his images are romantic, the subjects are beautiful & Perez paints them with equal parts of awe and respect. The casual observer would never equate the ladies with those that work in brothels, nor the men with those that frequent them â€“ as of course the quality of the art speaks much louder than any â€˜storyâ€™ behind them. 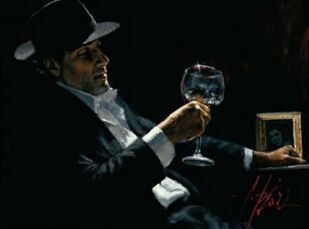 His style reminds me somewhat of the work of UK artist Hamish Blakely, especially his newer work, in that both enjoy showing subjects with dark backgrounds on the canvas, presumably to reflect nighttime or a low lit venue; both also paint beautiful Hispanic women almost always posed facing to the side or away from the artist, as well as men wearing trilby hats low on their faces, so that the face is covered in shadow. I admire both of their works in their own right. I also find the sculpture recreations of Fabian Perezâ€™s work very stylish. 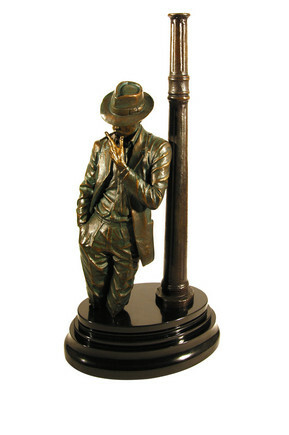 The â€˜Man in Black Suitâ€™ – Sculpture is my favourite, the detail in the piece is incredible: the folds in the clothing make it realistic and the pose struck by the character makes me think of Michael Jackson in his â€˜Smooth Criminalâ€™ video â€“ in fact Michael is dressed in a suit with a trilby hat on, not a far cry from the characters we are discussing! Something you may not know about Fabian Perez is that he is a keen martial Artist. Perez says he gained many things through the discipline of Martial Arts & he uses it in his art, by clearing his mind through meditation before painting. For Perez, Martial Arts are not his hobby, they are a significant part of his life.